Andrew Bogut is moving back home. ANDREW Bogut's move to the Sydney Kings has been confirmed. The Aussie NBA star will be unveiled by the NBL club in Sydney on Tuesday morning with the club set to confirm the details of the recruitment via a press release on Monday morning. It is unclear if Bogut hopes to resume his NBA career. The 33-year-old former No. 1 draft pick has played with the Lakers this season, but has settled on a move to Sydney. According to a report, the Victorian product was in talks with Melbourne United, but has decided to play with the Kings under NBL legend Andrew Gaze. The move is undoubtedly the biggest signing in the history of the NBL. Bogut's return to Australia is a massive coup for the league and the Kings franchise, which again failed to play in the NBL finals this year. He joins NBL MVP winner Jerome Randle and Kevin Lisch in a star-studded Sydney starting five. The Daily Telegraph reports the Kings have been working behind the scenes for more than three months to secure Bogut's signature with Kings managing director Jeff Van Groningen reportedly reaching out to Bogut at the start of the year. Bogut is returning after 13-years in the NBA, including a championship with the Golden State Warriors. Bogut's stellar career saw him play with the Milwaukee Bucks, Warriors, Dallas Mavericks, Cleveland Cavaliers and the Los Angeles Lakers. 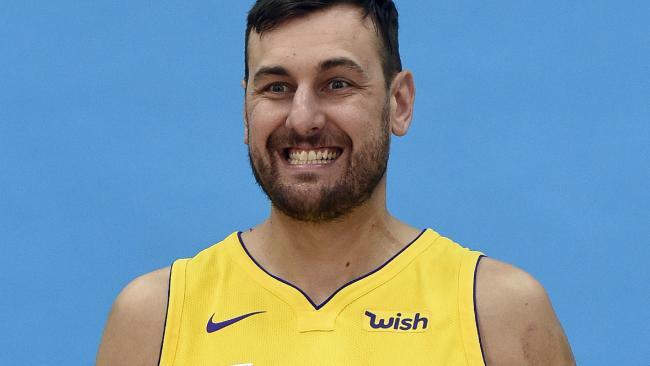 During the NBA lockout of 2011, Bogut was in talks with the Sydney Kings to play for the Sydney team while the NBA was shut down over an industrial relations battle between players and the league. Bogut was unable to complete the move to the Kings seven years ago because the club was unable to fins an agreeable insurance policy to cover Bogut's $39 million contract with the Bucks. Andrew Bogut is going to have more time for the Boomers. They got their man in the end. 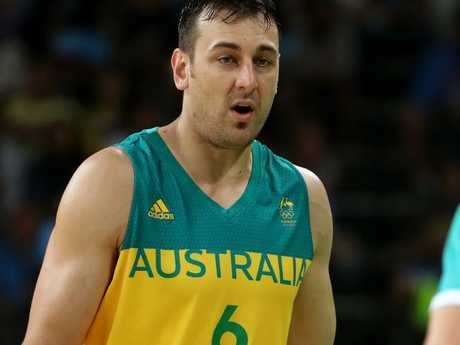 Bogut has previously spoken publicly about his determination to help the Boomers fight for a medal at the 2020 Olympics in Japan. Aussie basketball legend and former Kings star and coach Shane Heal told The Herald Sun Bogut will be a force in the NBL. "I reckon that the NBL season is perfect for him because there are fewer games (than the NBA) and I think it's a real key for him to try to play for Australia again," Heal said. "Other people will argue that there will be players that could be more dominant, but they won't take into consideration what he can do in the locker room and I think that's critical." He said the Kings must now be favourites for the 2018-19 NBL season. "The thing that we expect from a team that Bogut plays with is to win," Heal said. "It won't be from points and rebounds from Bogut, it will be because he's a winner. "He's so much bigger, he's stronger, he's smarter, he's experienced he's great in the locker room, great for accountability and I just think this takes it to a whole other level because we have never had someone of this level playing in our league. Are there any roster spots left for the upcoming @NBL season? Asking for a friend......? Bogut told Fox Footy recently he had spoken to NBL owner Larry Kestelman about a potential move to the NBL. "We've had numerous discussions," Bogut said. "Even as soon as (Kestelman) got the job to take over the league, we'd had a couple meetings, so I've been in constant contact with the NBL for four or five years now, mainly around helping the game, and how do we build basketball into what it should be. "I think it's about giving back to the game and being involved where I started. "I started in the SEABL with the AIS and through the junior program in Melbourne and I think to come back and maybe play a season or two would be the icing on the cake for my career."